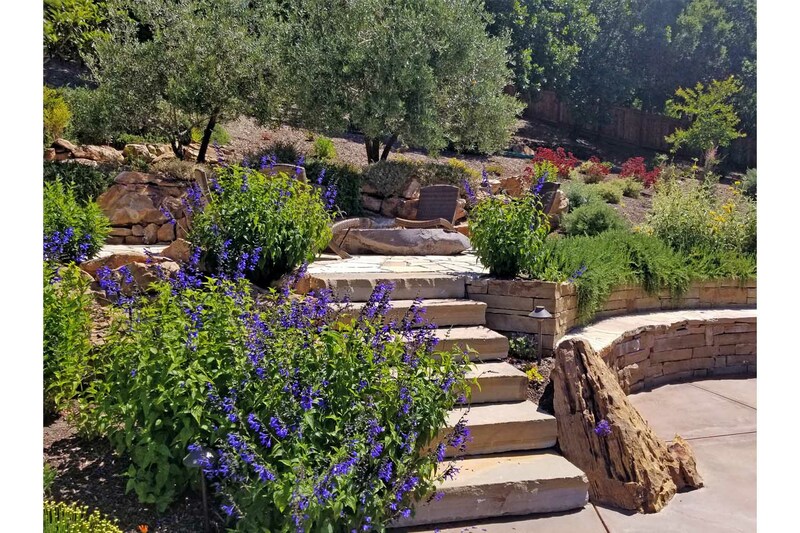 This is a true Mediterranean aesthetic, with dry warm breezes, vibrant colors, outdoor living and a strong connection from the house to garden. 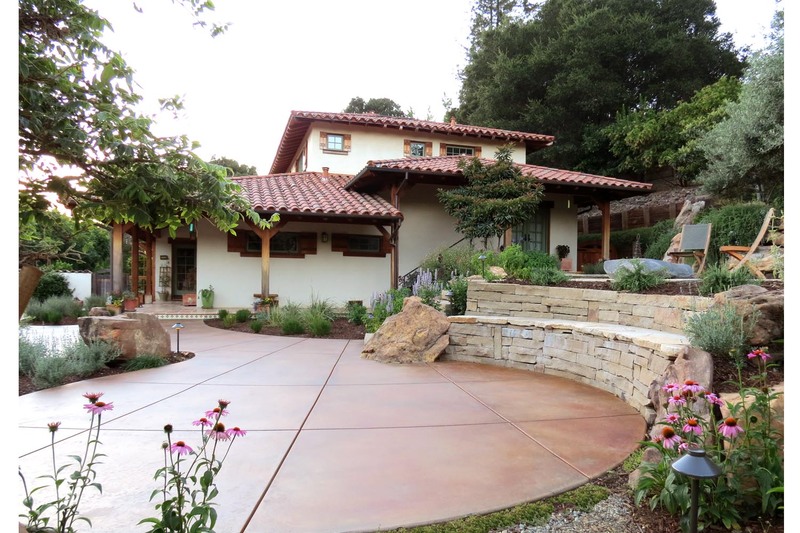 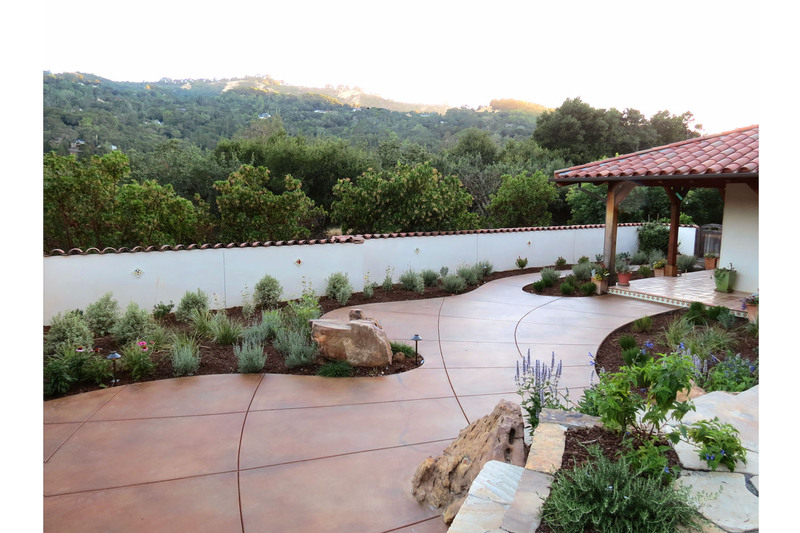 The voluptuous concrete patios flow freely and provide a ribbon of continuity. 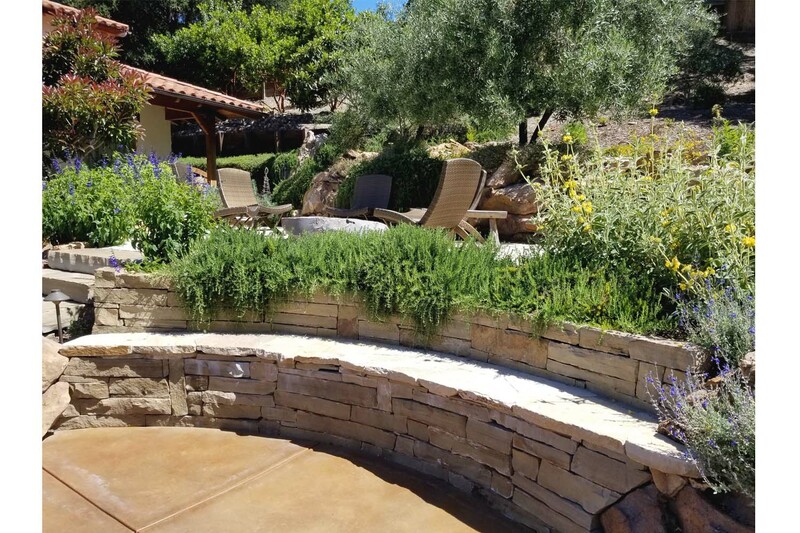 The ground plane concrete is enhanced and brought to life with a unique scoring, embedded boulders, and a rich acid stain finish. 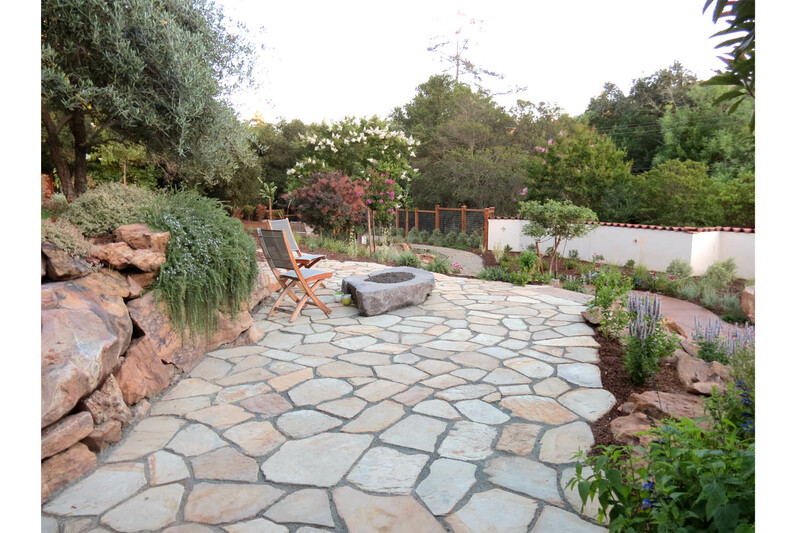 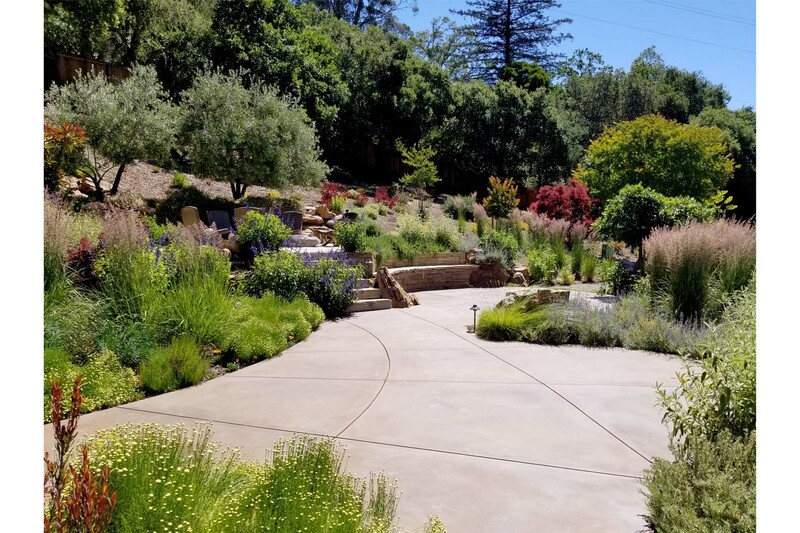 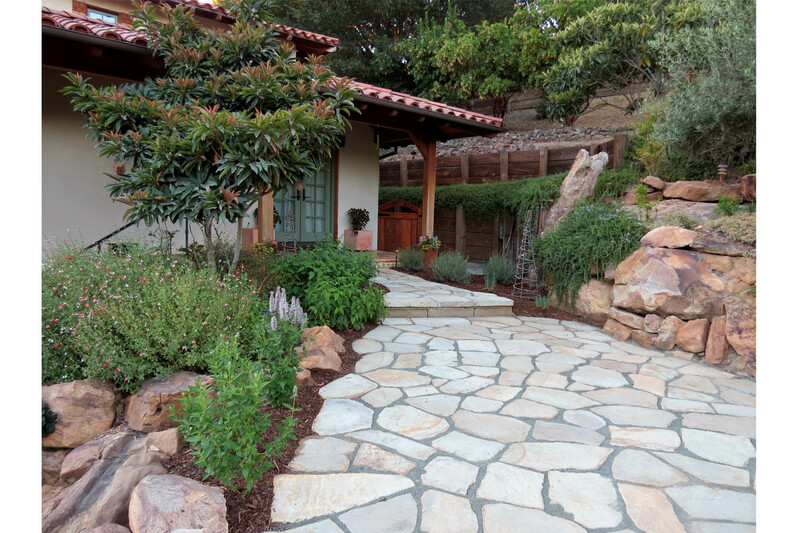 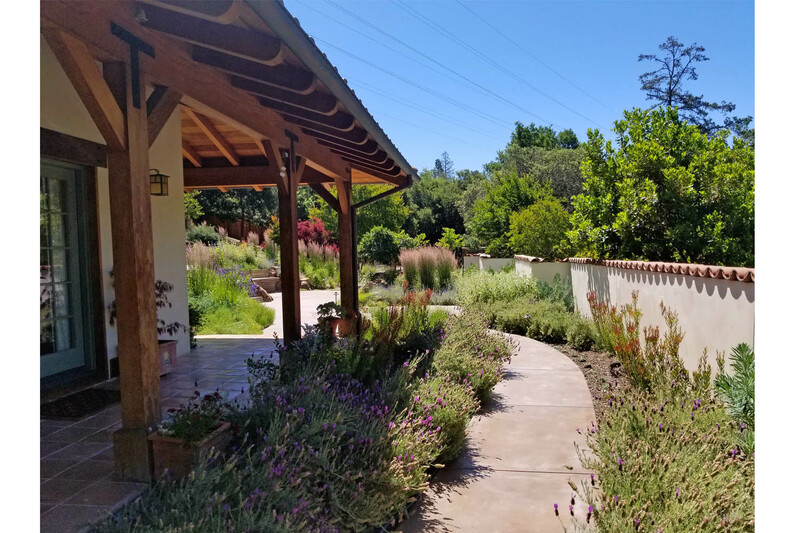 Drifts of grasses emphatically rise above brilliantly colored drought tolerant plants that hug the massive stone slab stairs and walls that lead to a gracious stone terrace. 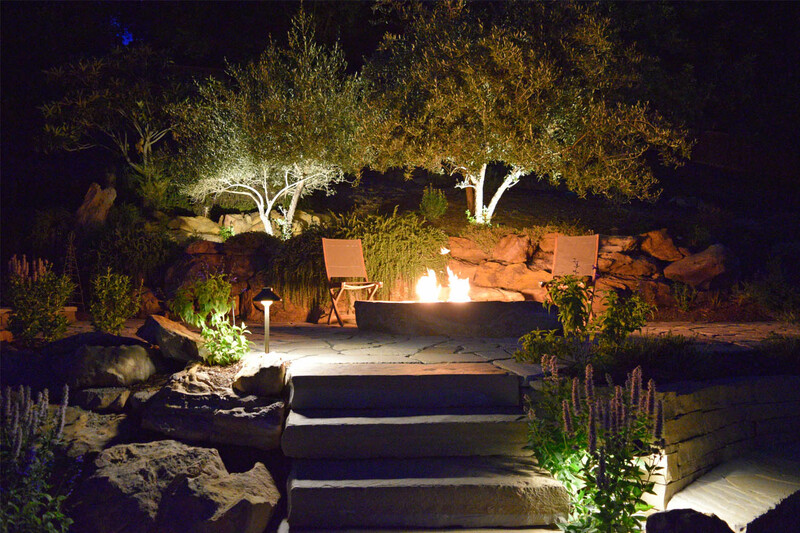 A natural stone fire feature warmly welcomes and encourages a moment of comfortable evening pause.